Whether you envision a lavish event or a small intimate gathering, selecting the perfect wedding venue is crucial when planning your big day. Here are a few tips to help brides-to-be determine their perfect wedding location. Don’t rush into choosing a wedding venue. Plan ahead with your fiancé to define your goals and make a budget together. Take time at the beginning of your planning journey to determine your specific style and price. This will help tremendously as you begin looking and touring various venues. Don’t agree to a venue quickly or you might find another site later on that is better suited for your wedding. There are many venues that are specifically setup for hosting weddings. The more common venues include churches, hotels, and even converted country barns. These more traditional spaces are well adapted to hosting weddings and some will provide complete packages for wedding events. Other unique options can range from restaurants and theaters to boats and museums. Start with your personal style and tastes to discover your ideal location. .
To begin your search for the perfect wedding venue, outline the specifics traits you are looking for. Keep in mind that not every venue will match all of your needs, so you will want to prioritize. It may be a good idea to create a spreadsheet to track the different venues you visit so you can easily review each location’s suitability. Is the venue available for your specific event date? Can the venue house both the ceremony and the reception? Is the price range within your budget? Can you select your own suppliers or must you work with their exclusive partners? Does the venue have a list of recommended suppliers? 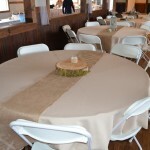 Does the venue provide basic inventory such as tables and chairs? If so, for how many? Is the venue bright enough for photographs or will you need additional lighting? Is there adequate outdoor space? Is there plenty of parking for guests? What are the bar accommodations and rules? 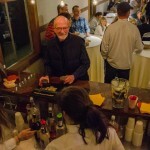 How much does it cost for bar services? What staff does the venue provide? 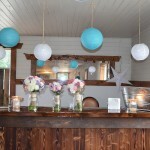 Can you access the venue before and after the wedding? Are there any restrictions on decorations and confetti? What are the deposit and insurance requirements? Armed with a basic list of priorities, you can confidently begin touring venues. Be patient with this part of the process. It can take considerable time and energy. You’ll want to be aware of some significant, but often overlooked, details as you visit venues. Take note of the travel routes your guests will take and the parking accommodations. Consider the season of your wedding and if the venue is air conditioned or heated. Also, be sure to look for power sources where your musicians or DJ will be located. 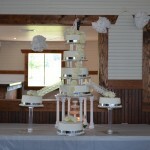 Talk with your venue rep about recommend layouts and perhaps look at photos from previous weddings, if available. It’s a good idea to establish your event schedule and flow ahead of time so that you can discuss this with the wedding venue. They may have specific requirements or suggestions that you will want to know up front. Ask if the venue provides a floor map or measurements. If not, be sure to bring a large tape measure to take measurements of important areas. Once you’ve found your ideal wedding venue there are several things to consider before committing. You should request a full list of all the costs, preferable itemized, so that you can see what is included in the price. Talk about what happens in case of a cancellation. You’ll need to talk about suppliers. Does the venue require you work exclusively with their vendor partners? If so, how do they select their vendors? Lastly, be sure to get a full list of venue staff and contacts. Many venues are smaller businesses, owned and operated by a single person or family. Others have different teams that operate the business. For example, during the initial stage you may work with a sales team member while later on paired with a specific events coordinator. You may want to request that you work with a single person to help ease the process. If you are working with a wedding planner, take them along on your venue hunt so that they can coordinate, meet the venue staff, and offer advice. The perfect setting for your wedding day is an essential element to having a magical day. Be sure to balance both your emotions and logistics as you conduct your venue research. Even if you fall in love with one venue be sure to visit several others and get competing quotes before returning to your first choice. Are you searching for a wedding venue? If so, tell us how the research is going.